We live not more than 2 miles from the BMW museum, yet it took us almost 3 years to get there. I kept saving it for the day when a car loving man, like my dad, would visit us, but as that hasn't happened we finally decided to go on our own. 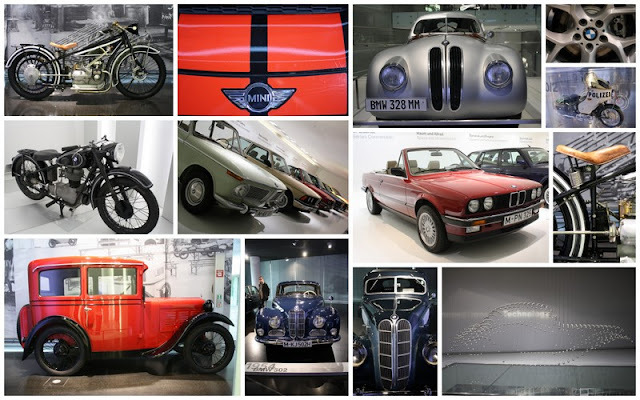 If you are a lover of all things BMW this is the place for you. 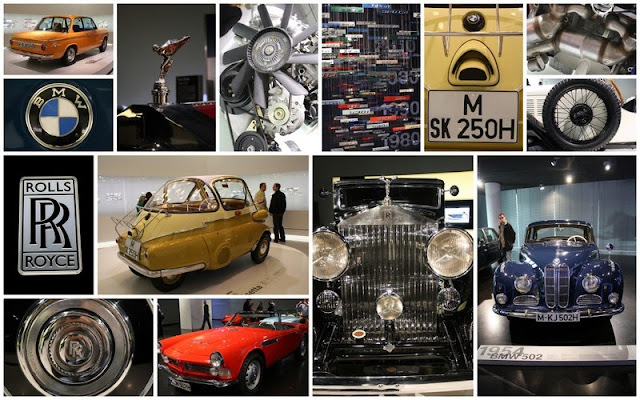 As you would expect, there are tons of car displays from the first motorcycle and automobile to the latest concept cars. The building itself is impressive with its modern displays and lighting and the Rolls Royce room upstairs with its massive cars is awesome! We did not have time for the factory tour and I am told that is really good, so we will have to go another time.